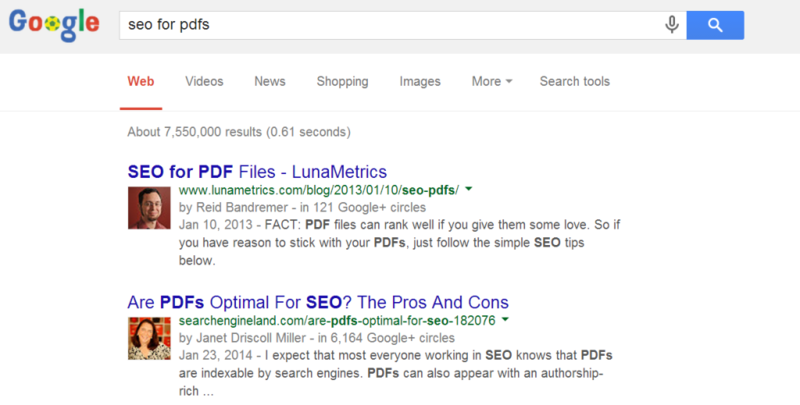 How Helpful Were Google Authorship Photos? The news that Google plans to drop Authorship photos from the search results was unexpected, but probably not shocking to many SEOs. It will be done in an effort to provide a better mobile experience by decluttering the results, said Google’s John Mueller. All speculation and mourning aside, we are curious how this affects Google users that have grown accustomed to Authorship photos and Circle information. “The author influences my click a lot for work-related informational searches,” Reid Bandremer said. “If I’m being honest, no. I scan the title and description to see if the result matches my true intent then look at the author to make a click decision,” Sean McQuaide said. Do Authorship photos and information influence your behavior when searching on Google? Please complete the poll below to view the results. We avoided gossip in the post so please use the comments to let us know what you’re thinking about Google’s update.